Although there are already a number of schools, both private and public, offering their services to provide education to pre elementary and elementary ages, the demand to put up another school, offering the same courses, could not be ignored. We observe overloading in public school classroom. Hence, public school teachers are overloaded and could hardly deliver quality education. Whereas in the private schools, they may be providing quality education but their fees are afforded by the elite class only. HCAI offers this courses ensuring not only quality but affordability, as well. Being the educational arm of the Philippine Faith Mission, Inc., a religious organization registered with the SEC, it will be supplemented with other financial requirements to sustain its operation and even child sponsorship program to accommodate children who belong to the poorest of the poor members of our society. 4. Do all things which are necessary or expedient suitable or proper for the attainment of the objective of the school. 1. To develop the child in all aspects (physical, social, moral spiritual, emotional and cognitive) so that he may be better prepared to adjust and cope with life situations within the context of his experience. 2. To maximize the child’s potential through a variety of carefully selected and meaningful experiences considering his interests and capabilities. 3. To develop the child in all aspects so that he becomes a self-propelling, thinking and contributing individual able to make decisions which will prepare him for the more complex demands of future life. 4. To establish, support and maintain a school of learning which is dedicated to serve children of Pre-elementary/elementary level in the development of their highest potentials. 1. To provide affordable and quality education that meets the different aspects of the child’s needs. 2. To develop each child’s creativity through arts, music, dance and drama. 3. To provide a non-threatening and safe place of learning environment. 4. To help them develop a spirit of nationalism and love of country. 5. To help them develop positive social interaction with other children. 6. To provide good information and practice on adequate nutrition. 7. To develop and instill values, moral and spiritual aspects based on the Word of God. 8. To develop a spiritual knowledge of God as the Creator and Who has a purpose for each child’s life. 1. Every child is a unique, special creation of God. 2. The child’s learning and experiences during the first six years are the best years to inculcate sound teachings and values for a wholistic development. 3. Every child will learn through interaction with others, the environment and through learning tools. 4. A child’s learning skill will develop easily through play. 5. A child’s sound body goes with sound mind. 6. The parents, the school and the community contribute to every child’s development. 7. That the teacher’s role is to provide experiences that are interesting and appropriate to the child. 8. That the teacher should make the learning fun and stimulating. The school has initially built four rooms measuring 9.11 m. x 5 m. or a floor area of 31.25 sq. m. each. There were corners provided for library, audio-visual and health corners. 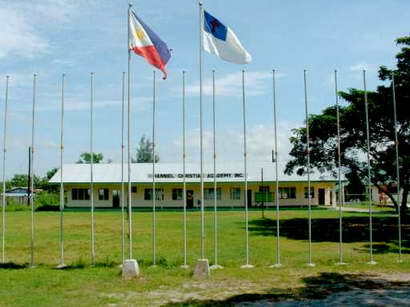 The office of the administrator and registrar shall be temporarily housed in the existing office of the Jireh Children’s Home, Inc. adjacent to the school. Separate toilets for boys and girls were provided. 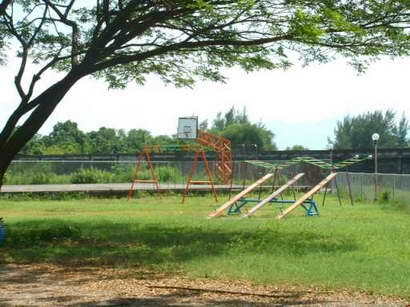 Playing facilities such as swings, basketball court and seesaws are available on the space provided for the playground. Adequate spaces were also provided for physical and social activities. HCAI will make a higher education level offering each year. HCAI will provide up to High School education. Additional two (2) to three (3) floors building for elementary and high school classroom expansion and other facilities and offices. A school canteen where the students can eat healthy foods instead of junk foods. To meet both the learning and nutrition at the same time, a subsidized meal for selected or otherwise all students.